Just when you think California cannot possibly come up with more things to tax, the new governor, Gavin Newsom, decides to tax drinking water. 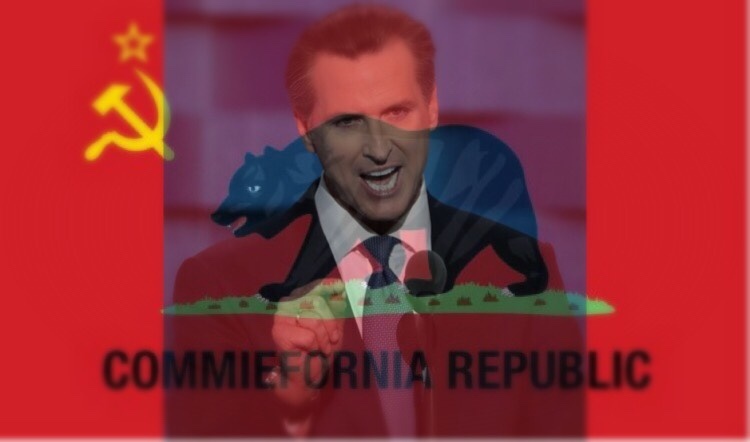 In Newsom’s first budget proposal on Friday, the communist included a tax on drinking water. The San Francisco Chronicle reported that the details of the proposed tax are unknown, however, a similar proposal was abandoned by then-Governor Jerry Brown last year after failing to garner enough support in the legislature. According to Breitbart, critics have already slammed the plan. Former Republican gubernatorial candidate Travis Allen is urging fellow Republicans to “take back” the state on social media, and the Howard Jarvis Taxpayer Association and the Association of California Water Agencies are saying that the state should tap into its budget surplus to pay for the needed clear water supplies. Safe and Affordable Drinking Water Fund—Establish a new special fund, with a dedicated funding source from new water, fertilizer, and dairy fees, to enable the State Water Resources Control Board to assist communities, particularly disadvantaged communities, in paying for the short-term and long-term costs of obtaining access to safe and affordable drinking water. This proposal is consistent with the policy framework of SB 623, introduced in the 2017-18 legislative session. The Budget also includes $4.9 million General Fund on a one-time basis for the State Water Resources Control Board and the Department of Food and Agriculture to take initial steps toward implementation of this new Safe and Affordable Drinking Water Program, including (1) implementation of fee collection systems, (2) adoption of an annual implementation plan, and (3) development of a map of high-risk aquifers used as drinking water sources. Contributed by Mac Slavo of SHTFplan.com, where this article was originally published.